Home / Health / Is Fresh Really Best? The profound power of social media in today’s world has presented us with strikingly different trends in health, wellness and consumerism. Freak-shakes, loaded fries and triple-decker burgers claim glory on the internet at the same time as clean-eating, Ayurvedic medicine and HIIT workouts. So although we’re encouraged to ‘go all out’ on our indulgences, we’re also often guilt-tripped into having to remediate it through healthy, natural and low-tox lifestyles. One such example of this remediation is the widespread notion that ‘fresh is always best’ when it comes to fruits and vegetables. According to this concept, we should steer clear of any processed forms of fruits and vegetables, and if we want optimal nutrition, we must buy local. Considering only 5% of Aussies over the age of 18 are consuming the recommended daily intake of fruit and vegetables, could such expectations for optimal health be causing many of us to give up on meeting our requirements? Moreover, is it only worthwhile to eat fruit and veg if they’re fresh? Well, let’s explore this below. To do so, we’ll look at an overview of the journey that different forms of fruit and vegetables go through before finally reaching our plates. Fruit and vegetables are harvested at different timepoints depending on their intended sale. Produce intended to be frozen are picked at their peak ripeness, briefly blanched, and then ‘snap-frozen’ to preserve their nutritional and chemical integrity. Fruits and vegetables destined to be canned are harvested at the same time, but often blanched for longer to preserve their integrity in canned liquid. Fresh produce, however, can be harvested either vine-ripened or just shy of ripening. Studies have consistently demonstrated that vine-ripened produce harvested at peak ripeness hold the most nutrients. However, most of us don’t consume our fruit and veg straight off the plant. A lot of our ‘fresh’ produce undergo lengthy transport and storage times before they finally make it to the supermarket, much less our plates (think cold-storage apples or unripened bananas for instance). Fortunately, there is little evidence that nutrients within fresh produce differ significantly across storage conditions. After harvesting, frozen or canned produce must undergo some preservation processing before making it to the supermarket shelves. Canned produce are often preserved in syrups, oils or water. They are likely to contain added sugars, salt, flavours or colours to maximise palatability after thermal processing and soaking. Thermal processing is a type of blanching method utilised to kill microbes and deactivate enzymes that may promote degradation of the produce. Before sealing the can, the produce is immersed in their preservation liquid. This is the point where fruit and vegetables lose some of their nutritional value. Produce containing the water-soluble vitamins B and C (e.g. mushrooms, edamame and paw paw) leach a significant amount of these vitamins into the liquid they are preserved in. Moreover, the additives in canned produce diminish the nutritional quality of the fruit or vegetable. However, opting for low-sugar or low-sodium varieties can preserve their nutrition quality and ensure you still consume an assortment of fruit and veg. Produce destined to be frozen are heat-treated in much the same way as canned fruit or veg. However, their thermal-processing time is often much shorter to maintain qualities such as crispness and brightness. 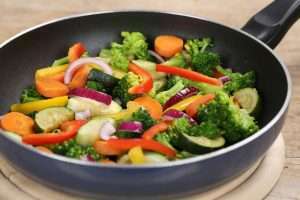 So apart from seasoned or pre-cooked products, frozen fruit and vegetables are usually minimally processed and do not contain many additives. They also keep for as long as 3 months in the freezer before their nutritional quality starts to diminish. Studies have even found that the antioxidant levels of frozen produce can often be significantly higher than their fresh counterparts after 3 days of storage. One recent and novel study sought to minimise confounding factors (cultivar methods, soil composition, storage times etc.) to nutrition profiles across fresh, stored and frozen veg as such factors have been found to affect the nutritional quality of produce. The nutrition and chemical profiles of eight fruits and vegetables from harvest through to processing and freezing were examined. This produce included corn, carrots, broccoli, spinach, peas, green beans, strawberries, and blueberries. It was found that ascorbic acid (a derivative of Vitamin C and highly heat-labile) did not significantly reduce in any of the frozen produce. All eight fruits and vegetables had higher levels of α-tocopherol (the primary form of Vitamin E used by our body) in frozen produce, rather than fresh produce. It is suggested that the α-tocopherol levels increased in the produce as a result of the brief blanching process they underwent before freezing, which made the vitamin more available. This is just one of the many studies that have found little to no difference in nutritional quality across frozen, fresh and ‘fresh-stored’ (refrigerated for up to 5 days) fruits and vegetables. As you can see, fresh and frozen vegetables are generally nutritionally on par with one another. However, they have both travelled a long way to get to the supermarket shelves. Both fresh and frozen produce are likely to have undergone some oxidation during this transit time. Fresh produce may have also been subjected to temperature insults. Nonetheless, studies haven’t yet found any statistically significant deteriorations to the antioxidants or nutrients across produce that have travelled and sat in the supermarket for some time. 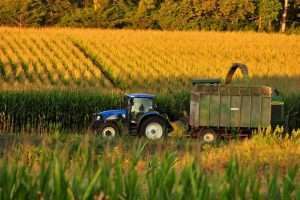 Moreover, they have found that fibre doesn’t differ between fresh or frozen produce. However, if you would like to maximise the freshness and nutrient availability of your fruits and vegetables (and you have the means to do so), a good option is to seek out your local grower’s markets or wholesale fruit and vegetable market. After the supermarket, your week’s purchase of fruit and vegetables are likely to sit a little further on your kitchen bench or in the refrigerator before you actually consume them. As such, they will be subjected to a little more oxidation. Fortunately, although it has been found that frozen produce may contain more antioxidants than fresh-stored produce, it doesn’t render the antioxidants in fresh-stored as negligible. What will affect the nutritional quality of any of your produce is ultimately the way you prepare your food. As mentioned earlier, water-soluble vitamins B and C will leach into any liquid you cook them in. Vegetables high in these nutrients are therefore best cooked in soups, stews or curries- recipes where you’ll be consuming that liquid. 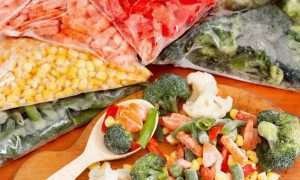 Frozen vegetables, although won’t lose nutrients, may lose their structural integrity after reheating as a result of the degeneration to their cell walls. This can be combatted by steaming them or also adding them into soups, stews or curries, where they’re expected to be consumed soft. There is little evidence to suggest that fresh produce is significantly better than frozen produce. Although some nutrients and antioxidants are lost across processing, transport, storage and preparation, it doesn’t make the remaining nutrients in your produce negligible. Canned produce can still be a nutritionally sound choice if you opt for low-sugar and low-salt varieties, and refrain from buying those soaked in oils other than extra-virgin olive oil. Frozen and canned produce can be a great way to incorporate more fruit and vegetables into your diet, especially those no longer in season. They are also very convenient and a great option to fall back on after a tiring day out of home. If buying across the fresh, frozen and canned aisles means you’ll enjoy a wider variety of fruits and vegetables, then go for it!